Fox terriers do best in homes without cats. Fox terriers make excellent companion dogs, but they're among a few breeds that don't mesh well with cats. Fox terriers are lively, intelligent and very active; they're born hunters that don't always like other pets. They adore their people, though, and generally prefer being the only animal in their home. The average fox terrier has such a strong hunting drive that he isn’t a safe companion for a cat. Bred to flush, chase and trap foxes, these dogs instinctively view small animals as prey. Even if you raise your fox terrier from puppyhood, you can’t train away his genetic urge to hunt. When he’s on the trail of your cat -- or the neighbor’s cat or another fleeing animal -- there's a higher risk in this breed than in others that he may not respond to your commands. Some fox terriers can and do live peacefully with cats, but it’s important not to take chances. For instance, if you get a rescue dog that’s supposed to be good with kitties, don’t just assume it's true and take your household's peaceful existence for granted. Fox terriers that are uncharacteristically mellow can spend their lives coexisting with cats; but cases have played out whereby the two pets get along for years and then, for no apparent reason, the fox terrier turns on his feline companion. No matter how well-behaved your fox terrier is, never leave him alone with your cat; crate the dog or securely confine the animals in separate rooms. 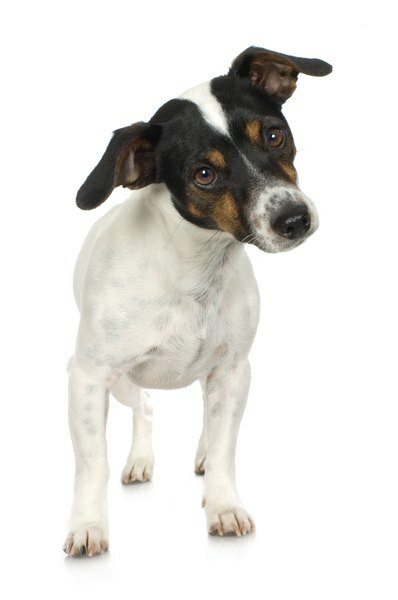 A major reason fox terriers end up in rescues and shelters is because of conflicts with other pets. Before you add any animal to your household, make sure the situation will work for everyone -- dog, cat and human. The fox terrier is not an easy breed to introduce to a household with other pets. If you’re looking for a puppy pal for your cat, consider a different breed or a mixed-breed dog that has a good record with kitties. If you want a companion for your fox terrier, your best bet might be another dog. Always introduce the pair before you make a decision, though, because some fox terriers just don’t get along well with other animals. Females of this breed tend to strongly dislike other female dogs, so if you have a girl, she’ll probably do best with a neutered guy. Pay attention to your pup's preferences; she might thrive on being your only pet. American Fox Terrier Rescue: Is a Fox Terrier Right for Me?